Continuing Evolution. Tested by professional racers which ensures you have the best boots for all terrains, from the road race track to off-road: maximum safety, maximum comfort and maximum performance even in extreme conditions. In what many believe to be the hardest and most grueling off-road race in the world, TCX boots protected the top three finishers of the 2011 Dakar Rally. 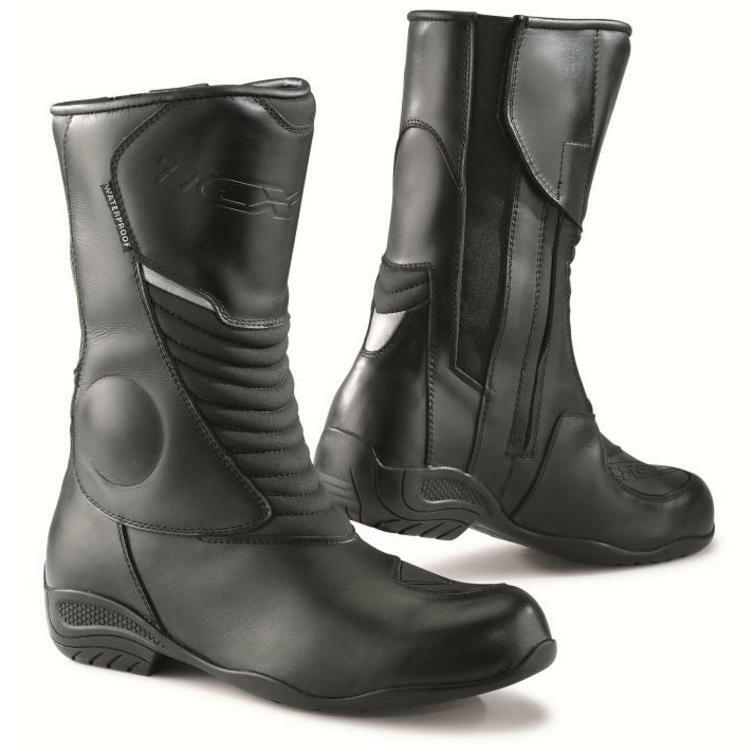 The TCX Aura Plus WP Ladies Motorcycle Boots are part of the latest TCX collection. These ladies boots are built with a higher heel to give you better reach when stepping down. The upper is made from full grain leather, the lining is waterproof, while the shape of the Aura Plus WP motorcycle boots has been designed to perfectly fit the anatomy of the female foot. 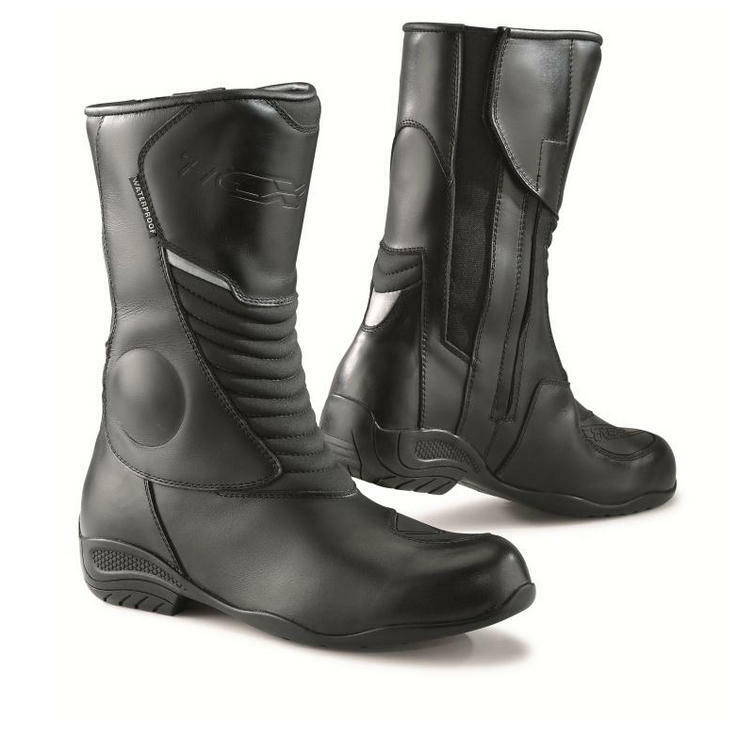 View all TCX Motorcycle Boots. View all Touring Motorcycle Boots.